Property 11: Fabulous Private Accommodation with stunning countryside views near Legoland! 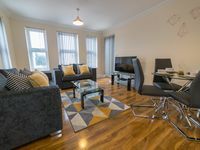 Self catering loft apartment in West Byfleet, Surrey, with off-street parking. 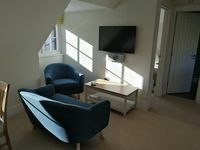 Property 24: Self catering loft apartment in West Byfleet, Surrey, with off-street parking. Property 26: Hideaway for two in central Midhurst. Property 29: Modern 4 Star Apartment for two people. Wifi. Ample parking. First floor apartment in the heart of Windsor, next door to the Castle. Property 35: First floor apartment in the heart of Windsor, next door to the Castle. We stayed here so we were close to the airport and could get to the airport without dealing with traffic. Worked out perfectly. The property manager was easy to work with. Lovely, spotless flat in a quiet position. Charming, welcoming hosts.